BioVital MedSpa offers a wide selection of treatments to eliminate the visible signs of aging from fine lines to deep wrinkles. 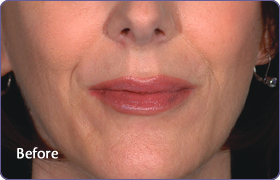 We use only the highest quality dermal fillers available. Come to BioVital MedSpa today to learn about the many solutions available, and to take advantage of our current promotions. Achieving a healthy and vital appearance is as easy as it is quick. Based on a substance that is naturally present in your body, the Restylane family of products safely produce a volume that smooths wrinkles and folds, shapes facial contour and enhances the lips in a natural way. During treatment, the filler is injected into the skin in tiny amounts with a very fine needle. Treatments are short; a session often takes less than thirty minutes. Actual times may vary, depending on the specific correction performed. If you want a more youthful appearance, but you’re concerned about the potential discomfort from treatment, now you can get beautiful results and a more comfortable treatment experience with Restylane. Restylane, products are made of hyaluronic acid, which is naturally present in the body. Because it is free from animal substances, the risk of transmitting diseases from other species is completely eliminated. When it breaks down and is absorbed into your body, the filler turns into water and carbon dioxide and disappears without leaving a trace. Since 1996 more than 1,500,000 treatments have been successfully carried out all over the world. One of the great advantages of these treatments is that they are long lasting but not permanent. This gives you the option of continuing or changing the combination of treatments. Please go to our promotions page for our current specials.